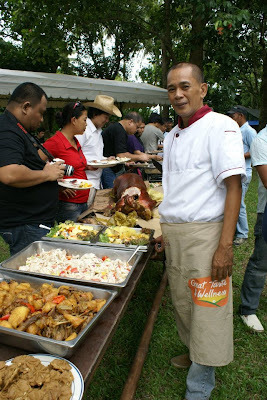 The Philippine Blog Awards-Visayas held in Silay City has just been concluded but the fun did not end there. 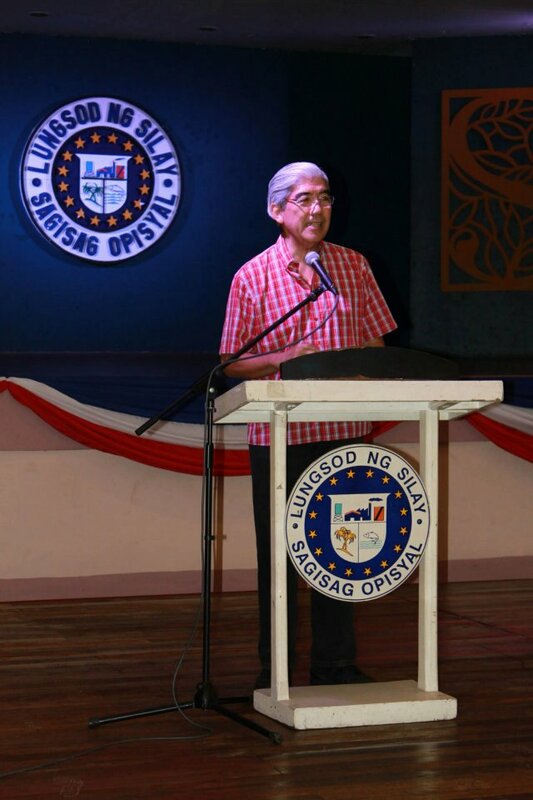 It is good that Mayor Jose "Oti" Montelibano is tech-savvy and was very supportive of the whole event. 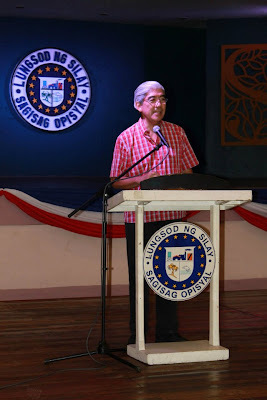 He even honored us with his presence, prompting PBA president, Juned Sonido to comment that this is the first time that an LGU has shown real interest and support to bloggers. Silay City also scheduled a free tour for the participants the next day. 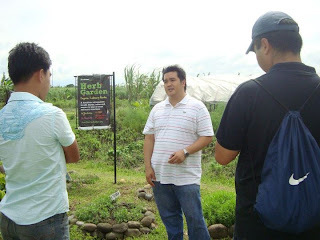 This was a "different" kind of tour which Mr. Ver Pacete, Silay Tourism Officer called...The Hacienda Life Tour. The group coming from Bacolod was picked up early Sunday morning by the Silay City buses and as they reached Silay, they picked up participants who were booked in Silay inns. First stop was Hda. Adela, owned by the Unson family. Unfortunately, I was not able to go on this leg of the tour because I was busy in church helping with the San Diego de Alcala feast day celebrations. From their stories, I gathered that they were shown first hand the simple life of the mamumugon or farm laborer. As most of them have never set foot on an hacienda, it was a real eye-opener and a humbling experience. They were given a sample of folklore chants and composition (luwa and composo) by the Asosasyon sang mga Mangunguma (AMA), the farmworkers' association that preserves these old traditions. Next place they went to was Hda. Maquina, owned by the Jalandoni family. 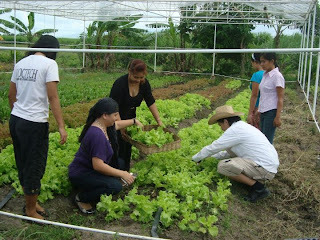 This is where Fresh Start Organics Farm, one of the sponsors of the event is located. 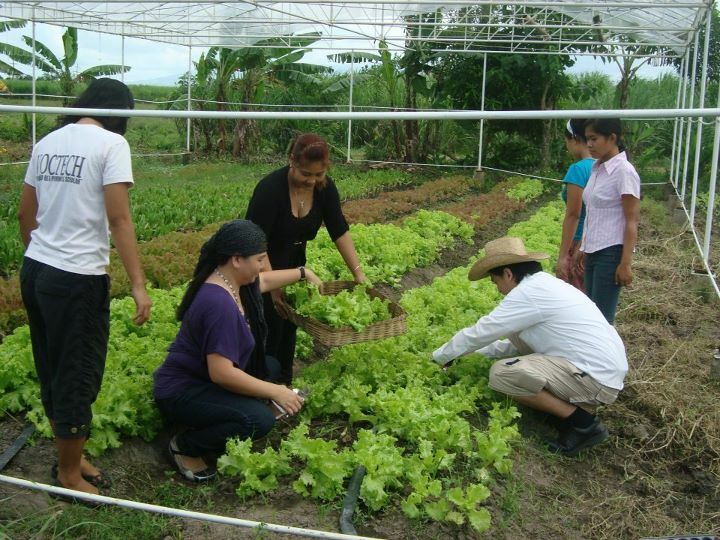 The group was met by the farm owner, Ramon "Chin-Chin" Uy Jr., who is married to Francine Jalandoni Marañon, daughter of one of the owners of the hacienda. Here they were shown and explained on organic farming methods like the conversion of biodegradable waste into processed compost and fed to nightcrawlers. It is the waste of these nightcrawlers that is used as fertilizer! From there, the group proceeded to Balay Negrense where a sumptuous organic lunch prepared by Fresh Start's Chef Ronnie Guance was waiting for us (I joined the group by this time). The lunch was so good! You can read about it here in Republica Negrense where blogger Mark Magallanes described it with gusto! The next and last place to go to was the Balaring Mangrove Park, but because lunch was so leisurely, meaning extending to native coffee (latte or cappucino, anyone?) post-lunch and a demo on how to make a piaya while the afternoon breeze made most of us sleepy plus the fact that the Manila group will be flying out by 5 pm, it was decided that this part of the tour be cancelled since a trip to the park and back will take about 2 hours. There will be a next time :) I had to leave too because my mom was patiently waiting for me at the newly blessed Katilingban (Community) Center of our parish church. I regret not being able to join the tour because this tour showed a different perspective of the city that I love. Frankly I know all about Silay's rich history on culture and arts, the families who built the homes and mansions and the food handed down through generations. I even know many of the family secrets. But I doubt if I know anything about hacienda life. There are also the skills and crafts that made Silay famous in the past but are slowly disappearing like the pottery shops of Barangay Guinhalaran which in my childhood used to line both sides of the highway for about a kilometer long. Now it is down to about 2 or 3 shops only. It would be interesting to know why this is fast disappearing. I am happy that the Tourism Office is reinventing Silay to include stories, sights and adventures off the beaten path because it is a fact that Silay has everything for everyone. Silay's heritage is more than just its history...it's the continuing saga of the people who live and die here...like I said in previous posts the demographics of the city is changing, slowly but surely...the future belongs to the now. All in all, it was a day well spent and as a Silaynon, I was quite proud of my city and our gracious Mayor and Tourism Officer...Thank you Mayor Oti and Mr. Ver Pacete!